Over the last few years Covenant Life has built a strong relationship with the administration, parents and students of South Lake Elementary School. Joy Club is one expression of our connection with the South Lake Community and one of several outreach activities at South Lake. Covenant Life Church members serve in two classrooms on Monday nights—one for preschool children, and one for school age children. Joy Club is crucial to the success of the ESOL outreach, as Joy Club allows parents to participate and learn English. It is also a context in which we are hoping members of the church can build real relationships with the youth of the Gaithersburg community and their parents. 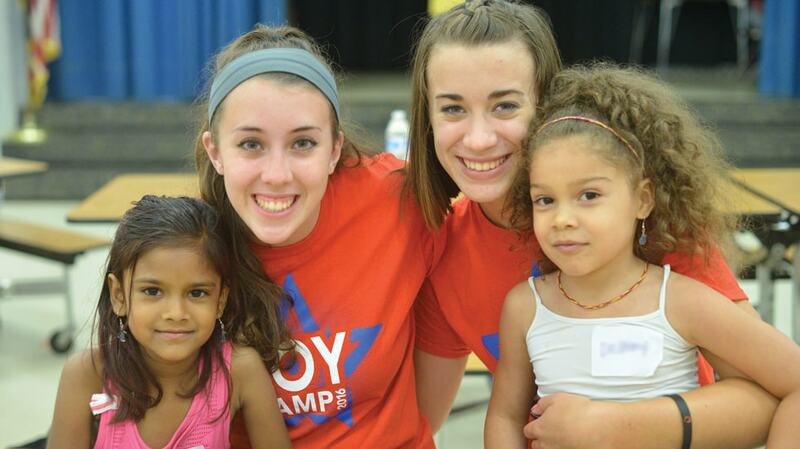 With enough volunteers, Joy Club is seeking to expand to Wednesday nights! Note: Volunteers with Joy Club must complete Discovery Land training and a background check, and volunteers who are not members of Covenant Life Church must obtain a recommendation from a pastor. 3 hours on-site for 12 Monday nights, January 28 - May 6. We are also seeking volunteers to expand to Wednesday nights. Note: Kids who do not want to join Bible study are not required to participate, and parents may choose to have their child opt out. For more info or to sign up, contact Pam Wilbur at pwilbur@covlife.org.